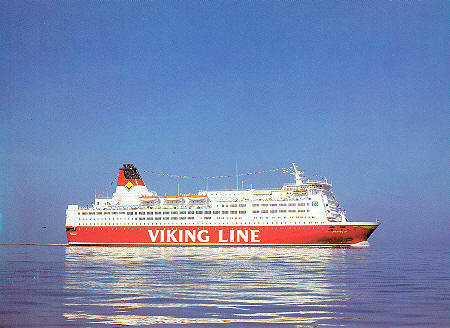 The early 1970s Viking Line fleet soon required replacement by a series of larger ships from 1979. 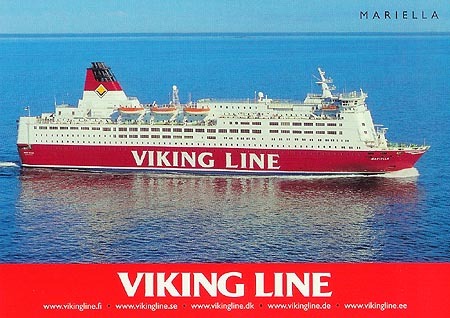 These ships are covered on this page. 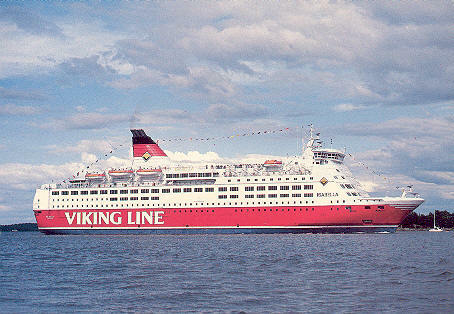 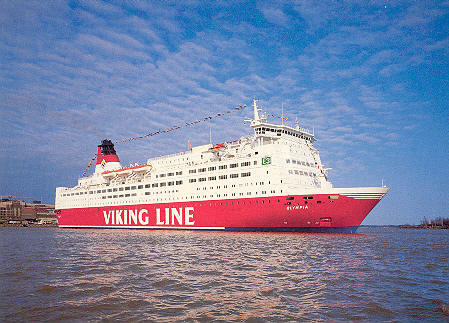 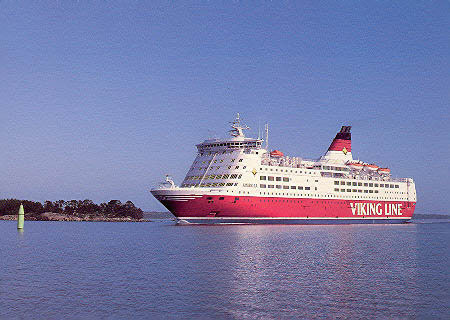 Rederi AB Sally were the dominant Viking Line partner at this time, with the delivery of Viking Saga, Viking Sally and Viking Song, all in 1980. 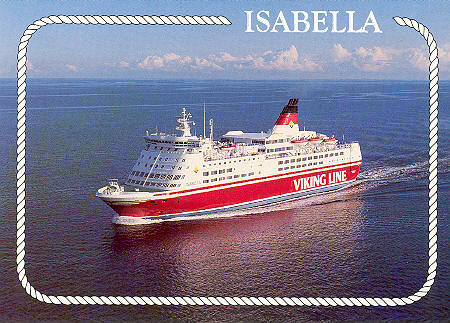 Around this time, Sally also acquired Vaasanlaivat, started operations across the English Channel and became involved in cruising activities (all to be covered on separate web pages). 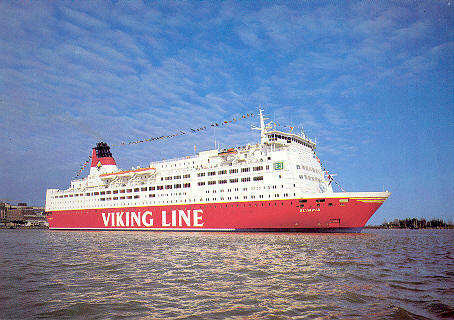 An even larger series of ships were delivered between 1985-92, which are covered on Viking Line - Page 3 and Viking Line - Page 4. 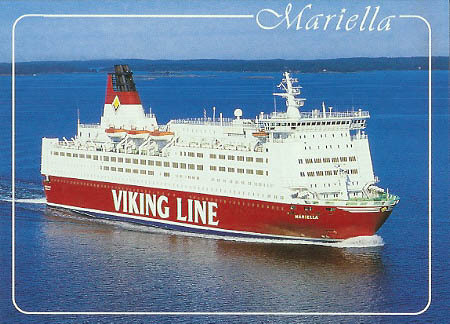 The Sally influence decreased when some of their other operations lost money, SF Line and Slite taking over the Helsinki route in 1985 when the Mariella and Olympia were delivered. 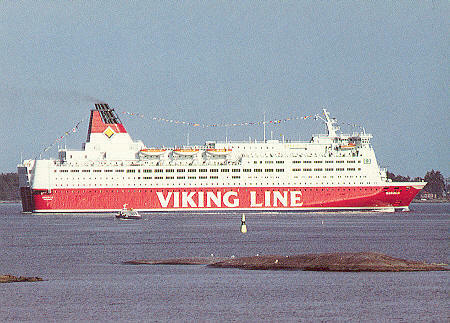 Sally were acquired by Silja group owners EFFOA and Johnson Line, and were forced to leave the Viking consortium in 1987. 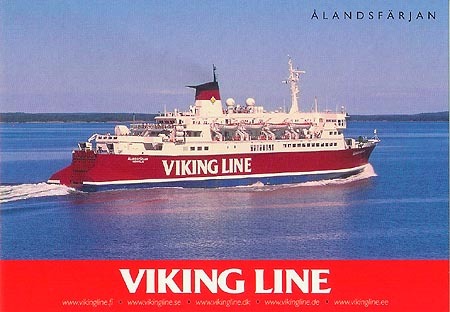 In the early 1990s, the Slite company ran into financial difficulties, and their ships were sold, leaving just SF Line, which renamed itself to Viking Line. 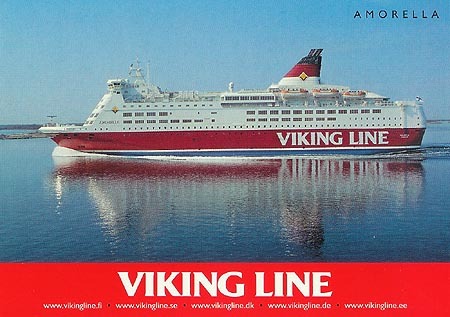 Viking Line - Page 3 - Viking Line Ships 1981-1989 - this page! 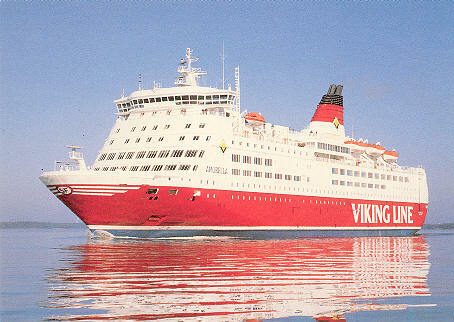 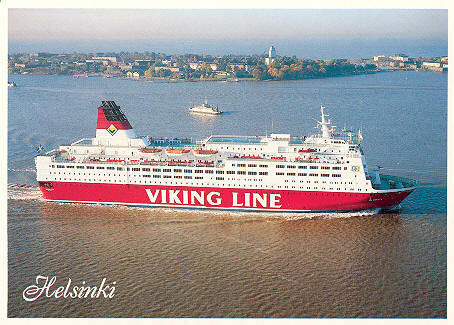 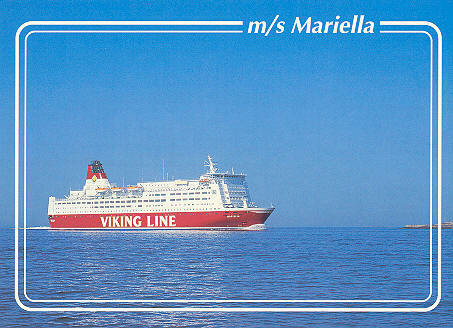 Official Viking Line postcard of Mariella. 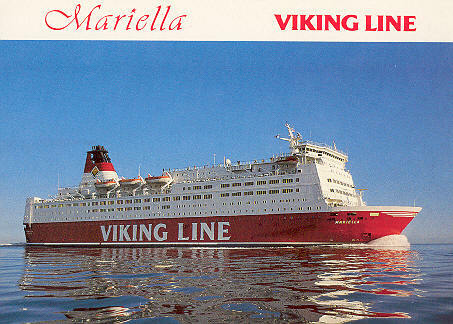 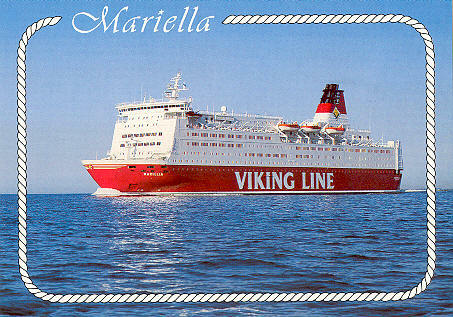 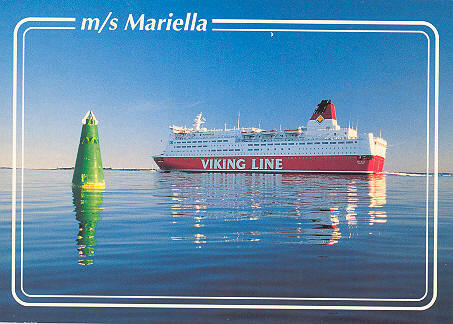 Official Viking Lines postcard of the Mariella. 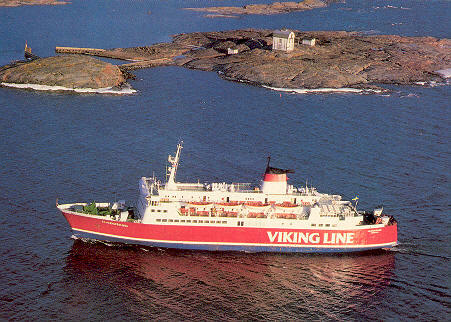 Olympia was built in 1986 for Rederi AB Slite. 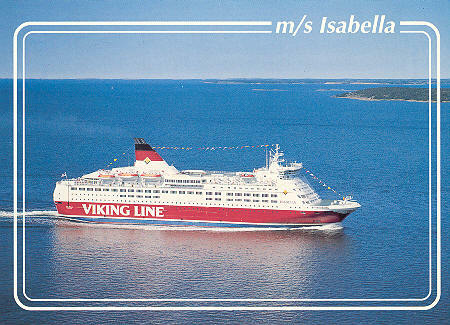 In 1993 she was chartered to P&O for use between Portsmouth and Bilbao as the Pride of Bilbao. 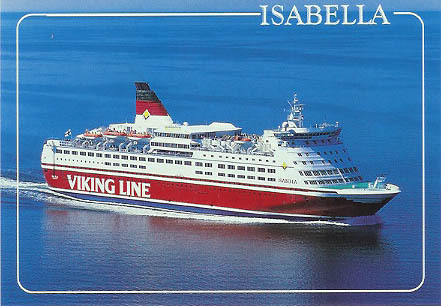 In 1994 she was purchased by the Irish Continental Group. 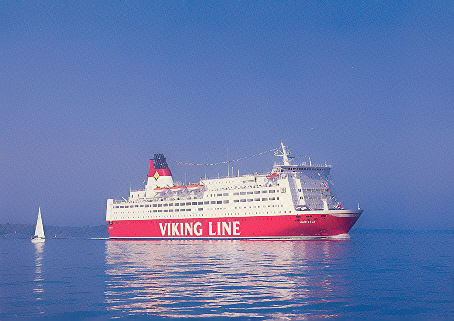 In 2002, P&O extended their charter for a further 5 years. 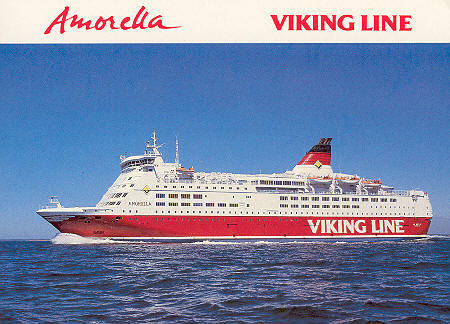 A complete history of this ferry is available on this link. 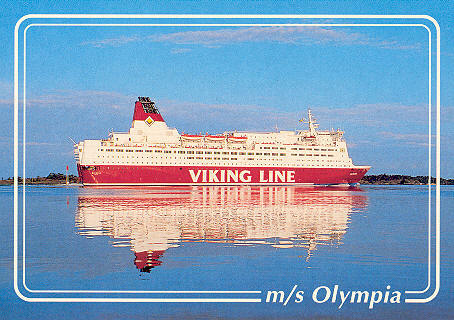 Official Viking Line postcard of Olympia. 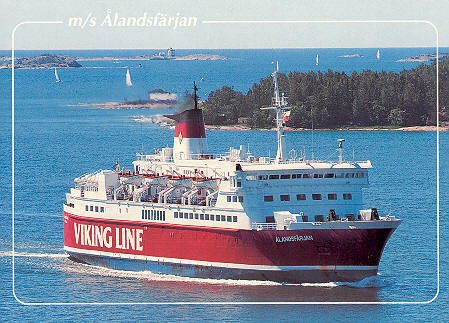 Ålandsfärjan (2) was built as the Kattegat (2) in 1972 for Jydsk Færgefart along with sistership Djursland (2). 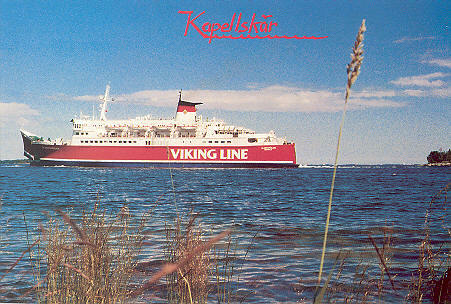 Kattegat (2) was sold to Normandy Ferries for Dover-Boulogne services in 1978, becoming their nf Tiger. 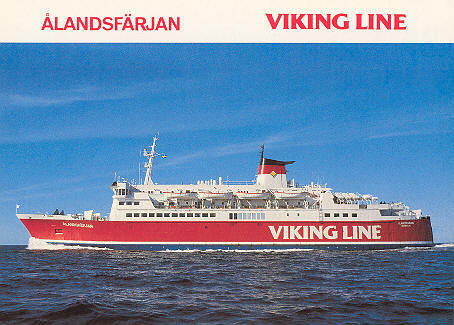 In 1985 P&O Ferries' Channel operations (ie Normandy Ferries) were sold to the European Ferries group. 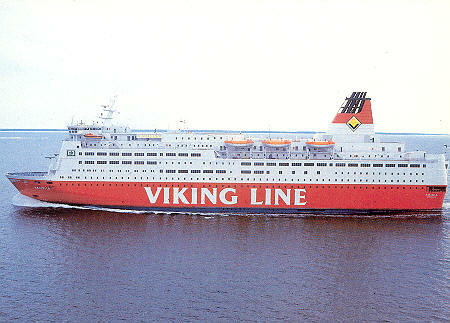 The nf Tiger was then absorbed into the Townsend Thoresen fleet and painted in their livery. 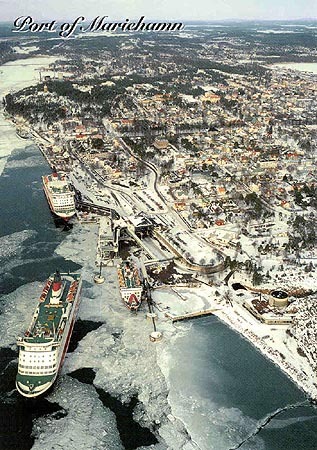 When retired in June 1986, nf Tiger was laid up in Chatham. 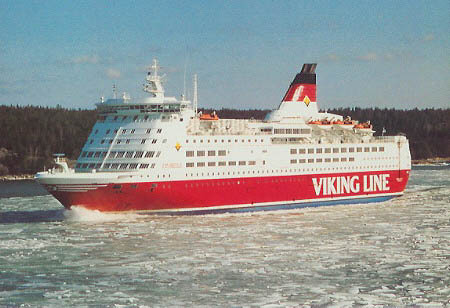 Later in 1986 nf Tiger was sold to Viking Lines as the Ålandsfärjan. 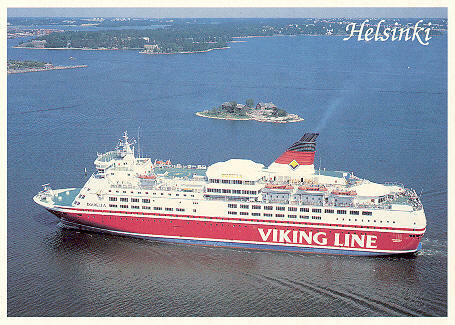 She was sold in to become the cruise ship Expedition in 2008. 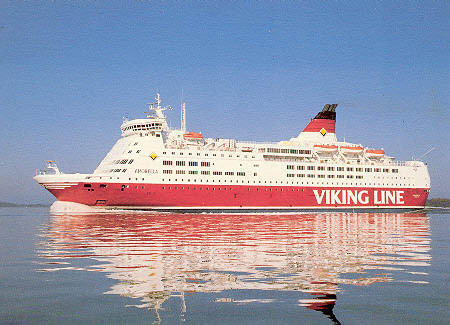 She is owned and operated by the Canada-based G Adventures (formerly known as Gap Adventures). 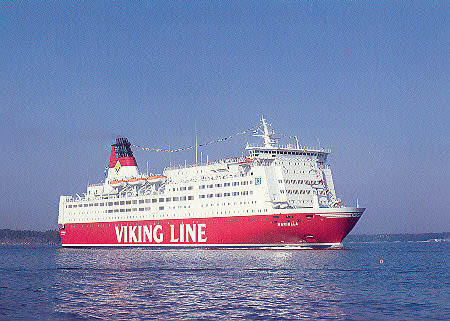 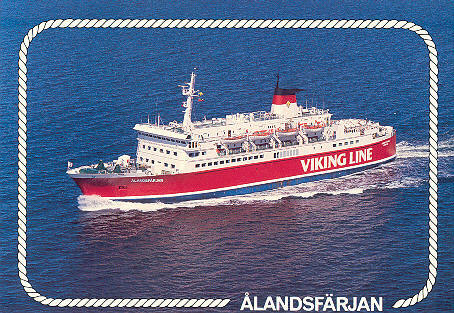 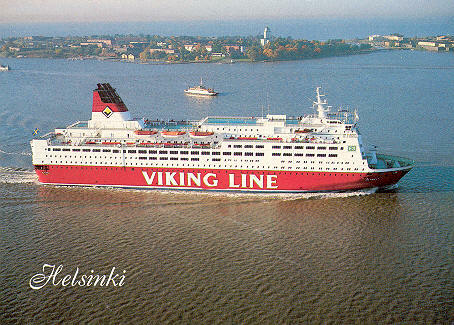 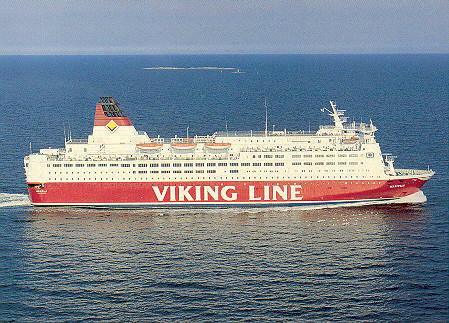 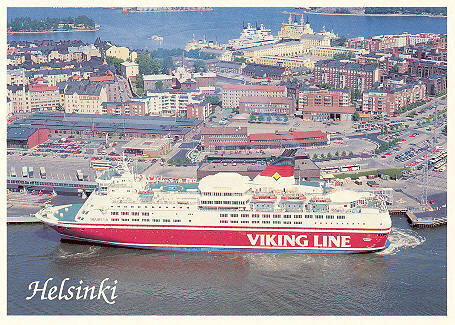 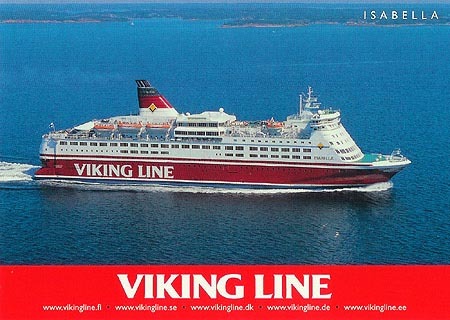 Official Viking Lines postcard of the Ålandsfärjan (2). 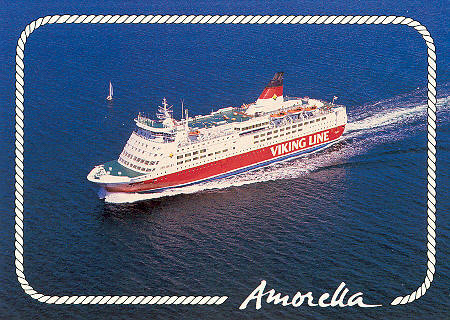 Official Viking Lines postcard of the Amorella. 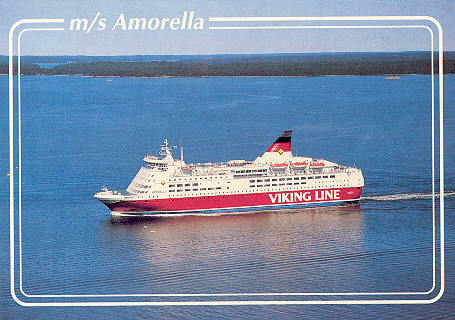 Chantry Classics postcard CC/S312 of the Amorella. 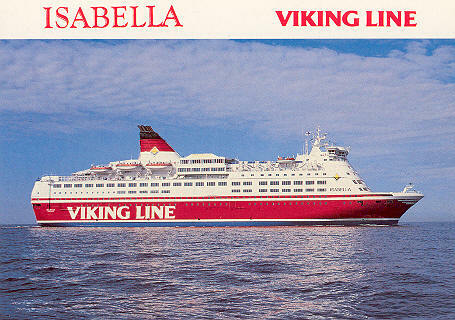 Official Viking Lines postcard of the Isabella. 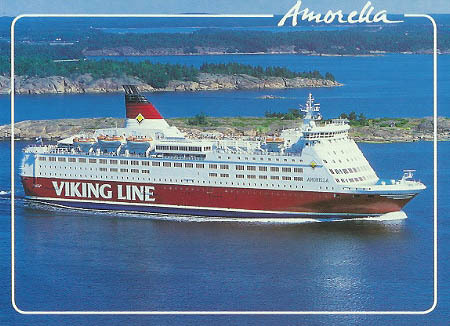 Isabella, Amorella and Ålandsfärjan (2) at Mariehamn.